Highly sought after high-end sustainable living at its finest, in AWARD WINNING Bancroft Green Phase II (recipient of the Jerry Rouleau Award for Excellence in Home Design), featuring a creative approach to daylighting, incorporating light wells and clerestories to successfully bring light deep into the unit. 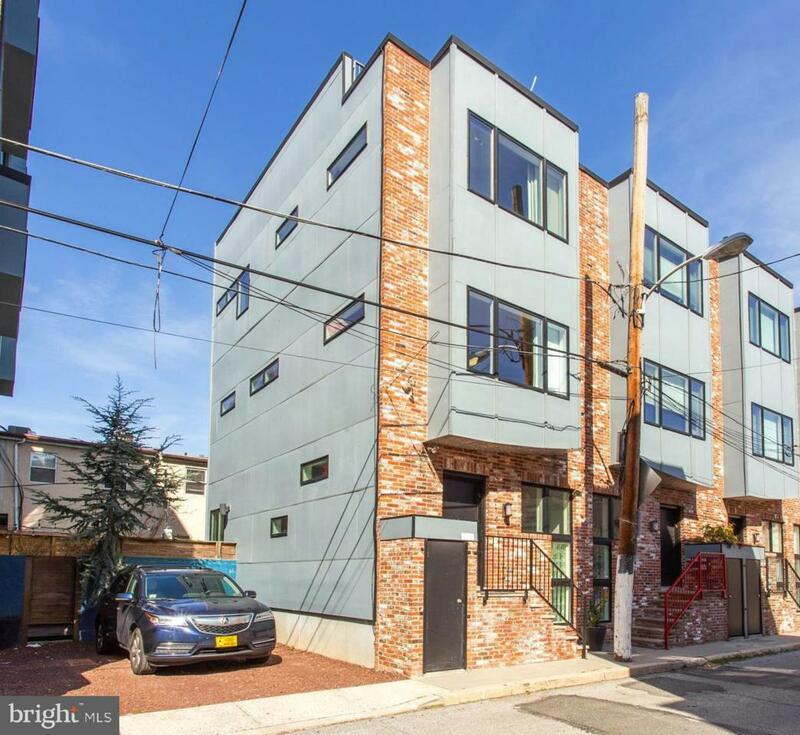 This 3 story, 3 bedroom, 2.5 bath, home with patio and roof terrace is designed by Best of Philly: Green Architect (2009): Re:Vision Architecture. This unique end unit has 3 exposures for maximum natural light. A handsome contemporary beautiful reclaimed brick facade greets you out front, with secure street level storage for bikes and strollers. Inside you'll find an open layout eat-in kitchen, living room and dining room with extra high ceilings, 2-zone geothermal HVAC (BIG savings on utilities); increased insulation (LEED BD+C) and Pella Low-E windows, save money and help the environment. The modern kitchen boasts granite countertops, stainless steel appliances, luxurious glass tile backsplash, a bar counter, as well as a convenient half bath and door out to a private patio that includes an extra piece of land that was purchased to increase the size of the lovely urban garden with upgraded fieldstone, flower boxes and fish pond, perfect for BBQing and outdoor entertaining. The second floor features a large bedroom, spacious full tile bath with stall shower and dual vanity, walk-in closet, and laundry. On the third floor you'll find two bedrooms one with ceiling fan and a full modern bath. Door leading to rooftop deck with sunrise to sunset unobstructed views - ideal for relaxing and entertaining, with cable hookup! The finished lower level makes a great additional living space (den, office, family room, you name it) while also including, storage and mechanicals. This home is nestled on a lovely, VERY QUIET non-thru street, convenient to Rittenhouse, Sprouts Market, Revel Ride, & South street restaurant row. Possible parking right next door, upon approval by parking owner. If approved parking rental fee will be paid thru December 2019. Check with OPA for remaining abatement. Exclusions Fish & Equipment From Pond Arlo Security Cameras Mirror & Wall Planters in Half Bath. Inclusions Direct Tv Antenna Dummy Security Camera Back Door.